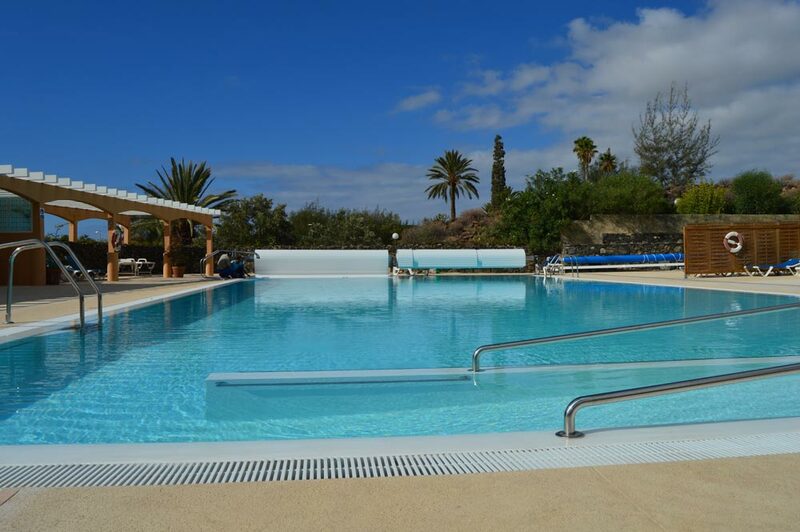 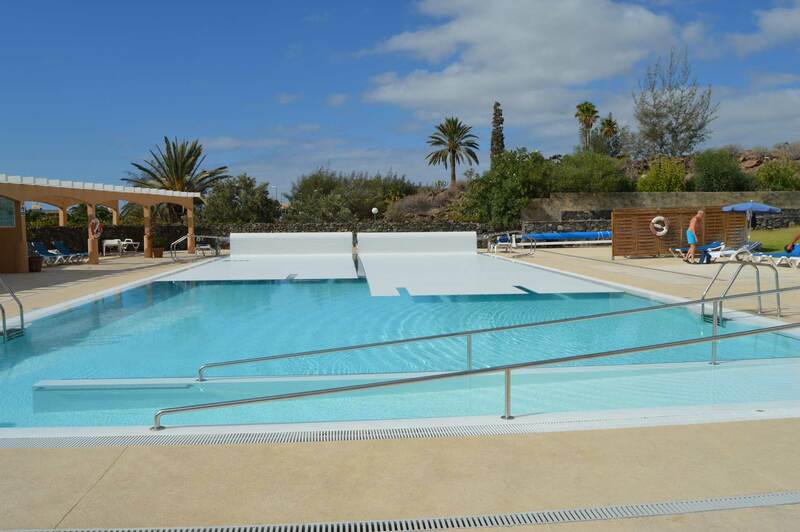 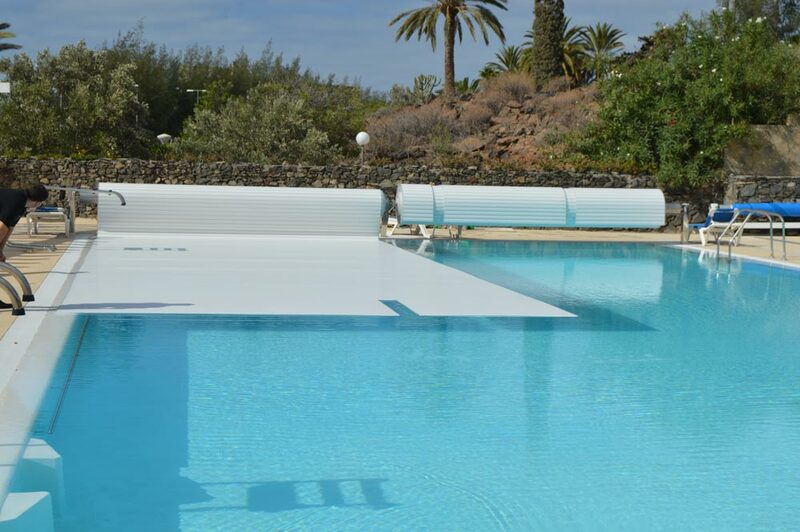 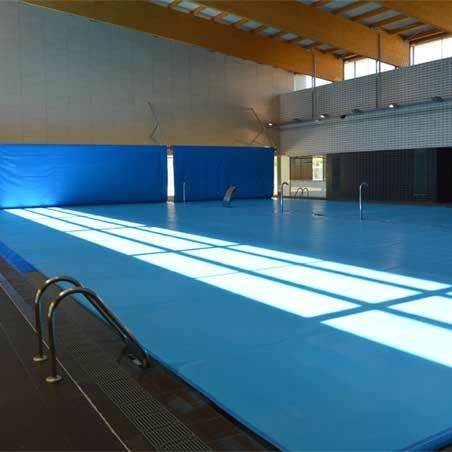 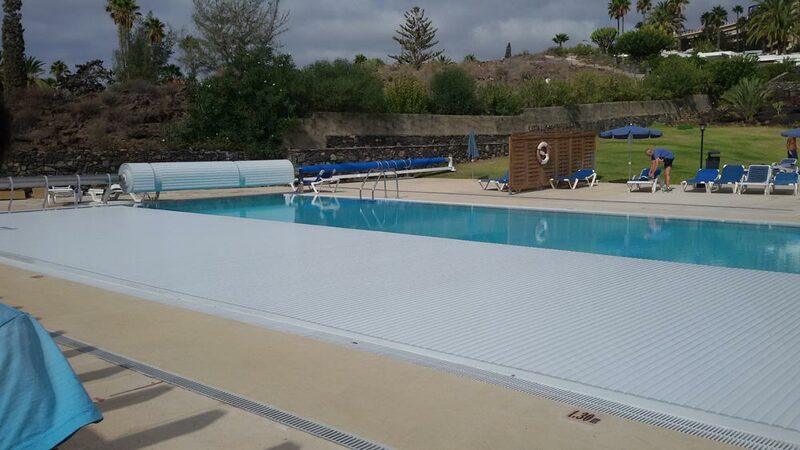 Glass for the pool divided into two covered areas measuring 26x5.5m, which can be controlled individually. 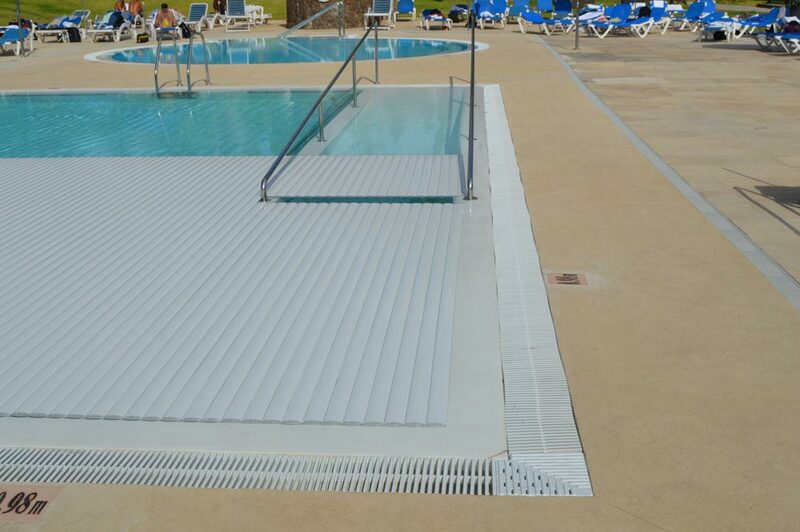 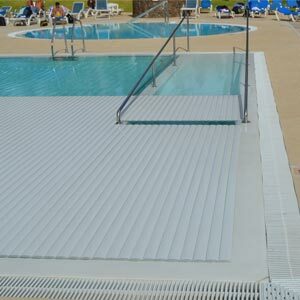 Covers made of high-resistance PVC slats with an extruding profile that meet the NPF-308 safety standard. 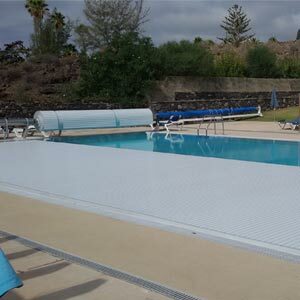 The hollow profiles are sealed at the end to ensure buoyancy. 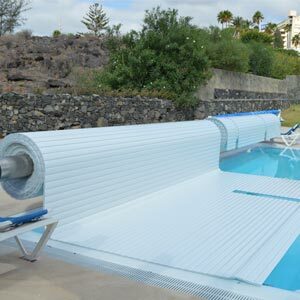 Roller system with a stainless steel 316 frame. 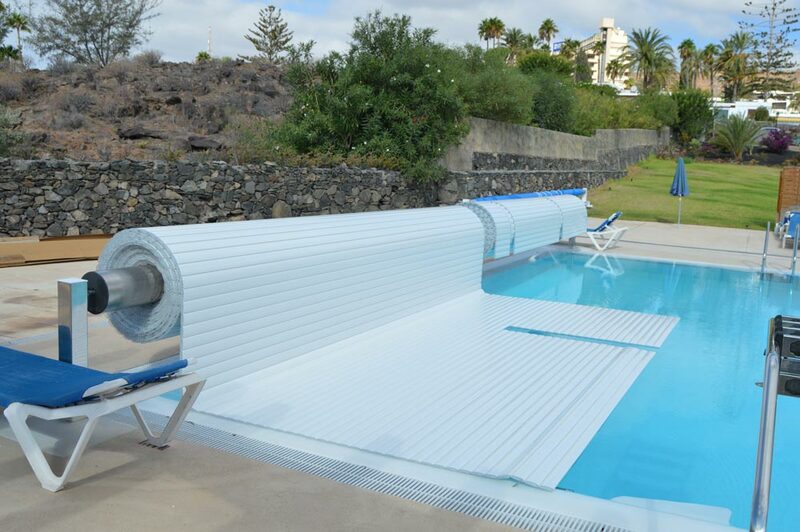 24V radio-controlled motor, roller tubes and stainless steel 316 accessories.